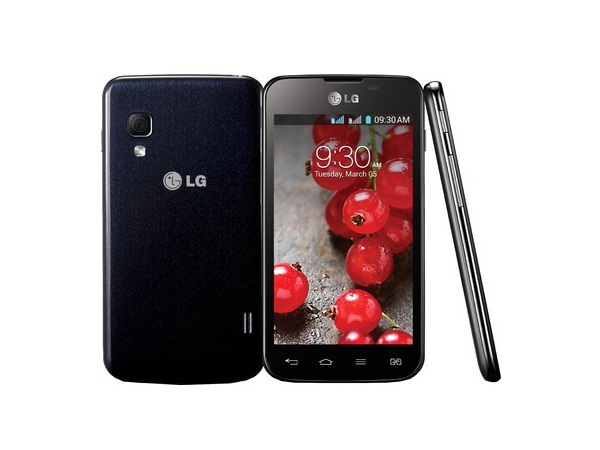 LG Optimus L5II Dual E455 is a newly launched Dual Sim Touch Screen Smartphone. Read on to know more about the price, latest features, and technical specifications. LG Optimus L5II Dual E455 is a new stylish L-shaped Smartphone that comes with premium technology and Dual Sim Connectivity. This newly launched handset is a worth buying sicne it delivers great functionality without compromising on quality. The phone features 10.2cm (4.0-inch) WVGA True IPS touch screen display. User can enjoy brilliant, sharper, and clear picture visibility in this Smartphone. LG Optimus L5II Dual E455 comes in a super-thin body, and its textured finishing gives an elegant look to the handset. There is a 4 GB of internal memory in the device with 512MB of RAM. Its external memory is up to 32 GB. Through the dedicated key, user can easily switch from one Sim to another instantaneously. With pre-set equalizer, user can enjoy listening to music with superb sound effects. The 3.5mm universal audio jack provides excellent music experience. Another commendable feature in the device is where one can capture pictures in Quick Memo application and add text to the images. User can send the images stored in the Quick Memo through Email and MMS. The 5 MP AF Camera with LED Flash, 4x Digital Zoom, Scene Mode, Geo-Tagging features allows capturing picture-perfect images. The ISO 100 sensitivity boosts the camera to deliver crystal clear photos in any condition. Users can stay in touch with the people they know through the applications like Gtalk, MMS, Yahoo Messenger, Email, and others. The 3G connectivity provides 7.2 Mbps high-speed internet connection. LG Optimus L5II Dual E455 is powered by 1 GHz Processor and runs on the Android 4.1 (Jelly Bean) OS.